A swathe of networking numbers out this week continued today when WAN optimisation outfit Riverbed weighed in with fourth quarter and full year numbers pointing to solid levels of demand for its kit in spite of the economic downturn. Riverbed CEO Jerry Kennelly said customers were still continuing to make WAN gear a priority “because our platform optimises performance while cutting costs from the IT infrastructure”. Riverbed’s Q4 sales were up 21% year-on-year to $92m (£64m),while annual revenues jumped over 40% to $333m. The firm also banked net profit of $23m, reversing a year-on-year loss, although there was a sour note as full year profits slipped over 28% to $10.6m. The firm has been ramping up its channel exposure during2008, adding over 200 new resellers worldwide during the past 12 months. 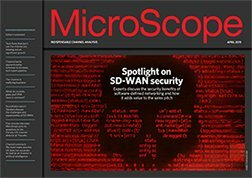 It has also hooked up with several other vendors in new technology alliances, most notably HP ProCurve’s Open Network Ecosystem programme, details of which were revealed online last week in MicroScope.